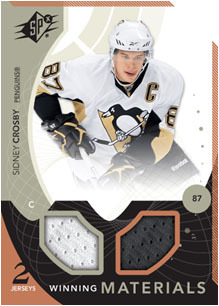 SPx Hockey returns with plenty of past favorites like Shadow Box case hits, Autographed Rookie Jersey cards, Flashback Fabrics, Winning Materials dual and triple jersey cards as well as a few interesting new additions, namely Ice Premiere Rookies. 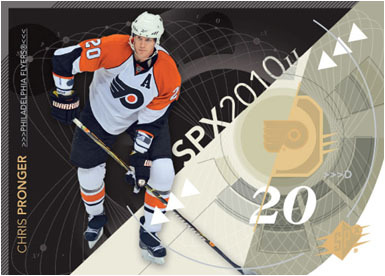 SPx Hockey is a mid-end, relic driven hockey card product that packs 4-hits and 1-Ice Premiere RC into an 18-pack box. 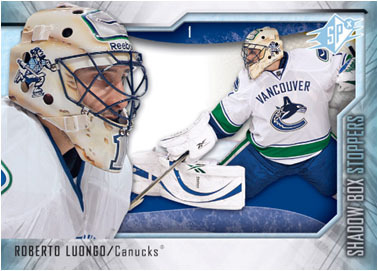 Upper Deck Ice comes to SPx featuring the hockey hobby favorite Ice Premieres rookie cards! 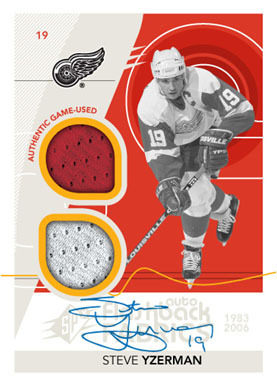 Return of the popular Shadow Box case hit - Gretzky, Yzerman, Lemieux, Messier, Tavares, Crosby, Ovechkin, Toews, Hull, Zetterberg, Iginla, Esposito, Subban, & more! SPx Finite Rookies - Nothing but the best Freshman, numbered to 3 different tiers! 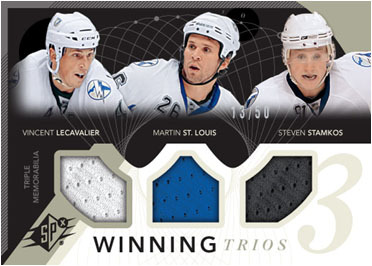 Look for one bonus pack per box - some may feature Ice Premieres! Winning Materials dual memorabilia cards - Ovechkin/Crosby, Luongo/Miller, Lecavalier/Stamkos, Iginla/Bourque, Gaborik/Hossa, Heatley/Marleau, Gretzky/Messier & more! 2010-11 Upper Deck SPx Hockey HOBBY Box 18pk 4cd Rookie Auto Jersey Patch?